Quality of life may be the single most important deciding factor for workers considering an overseas assignment. As someone considering a posting to one of your company’s foreign offices, or as a human resources manager seeking to retain the best people in your global workforce, being able to calculate a compensation package that affords an equivalent quality of life helps both employer and employee feel they are getting a fair deal. 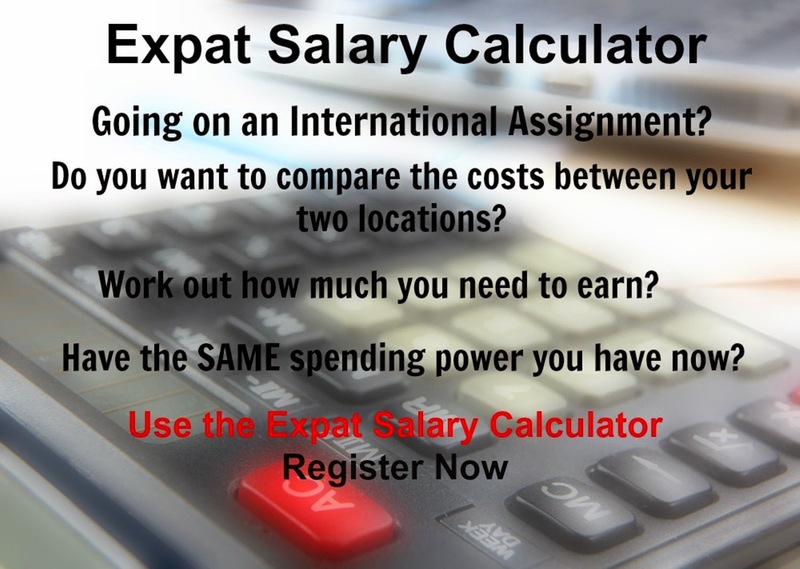 The SPPP calculator compares compensation packages between the home office, or where the employee is now, and a new assignment in a different country, by measuring relative purchasing power. A compensation package that affords the same purchasing power as the current location is calculated for the host destination. The salary is adjusted to account for differences in exchange rate, the availability of goods and services and other relative differences. Purchasing power is calculated by regularly checking the local cost of a wide range of common goods and services and establishing standard cost per unit measurements that can be compared between locations. Xpatulator uses approximately 200 items such as monthly rent, the cost of milk and the price of gas. Items are then grouped into 13 different baskets, such as education, clothing, transportation, groceries, etc. The baskets are weighted as a percentage of total living expenses based on surveys of how expat workers actually allocate their spendable income. For example, household costs like rent, utilities, home insurance and property taxes are weighted as 30% of the total cost of living. Depending on the location, certain costs, such as housing, education and transportation may be arranged for, and paid directly by the company. If, for example, housing costs are to be borne by the worker, then this basket is included in the calculation. If housing is to be provided by the employer, that basket is removed. When inputting the home salary to the calculator, include only the amount that the employee would normally spend on baskets that will not be covered by the employer at the host location. For example, an employee earning $100,000 USD may typically spend $24,000 annually on rent/mortgage and utilities. If housing and utilities are being provided by the employer at the host location then $76,000 ($100,000 - $24,000) would be used to calculate the salary required to provide equivalent purchasing power. 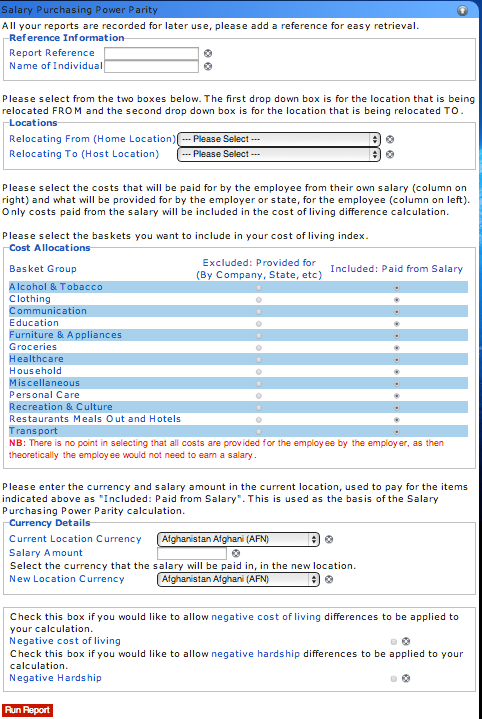 To adjust for differences in taxes it is recommended that the net salary be used in the SPPP calculator. The applicable tax treatment of the employee at the host destination then needs to be factored in to provide a sufficient after tax salary. Social and political circumstances may impact an employee’s quality of life in ways that are difficult to measure easily. Xpatulator provides a hardship rating for over 700 locations worldwide based on things like political stability, social freedom, availability of quality education and difficulties associated with learning a new language. A hardship adjustment is calculated based on the relative difference between the hardship rating of the home location and the overseas assignment. If you are comparing offers from several different locations use the SPPP calculator to calculate the adjustment between the home location and each host location separately. If you are an HR manager trying to insure that your company is compensating a group of comparable employees fairly, this method also gives you the most consistent way to compare different locations.